Style:Earth Create a magical light show in your room! 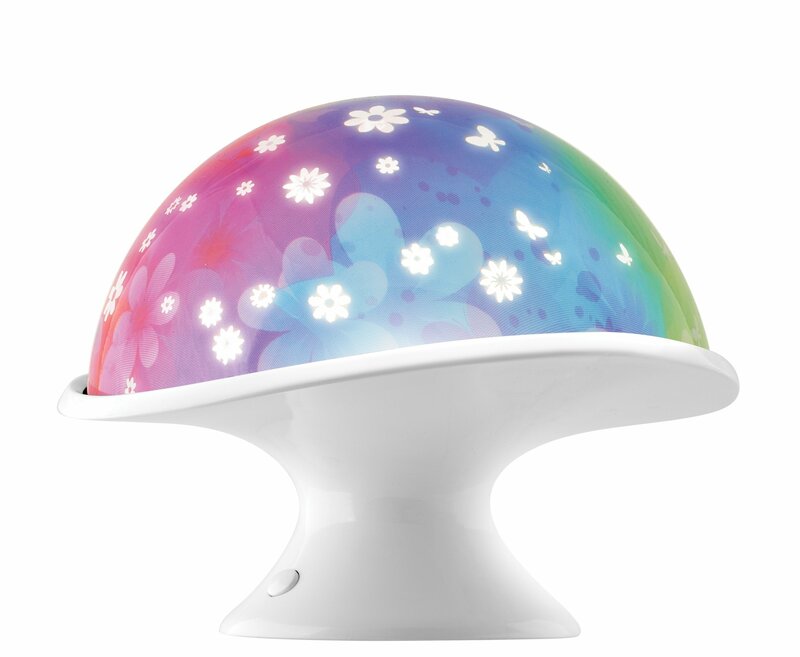 See beautiful,multicolored lights inside the mushroom and project butterflies and flowers onyour wall. With 8 different light show programs to match your mood and style.Features auto shut-off for bedtime.